Arizona’s judges have an opportunity to educate students about our legal system using provided materials developed to meet the needs of busy judges willing to visit classrooms. The wonderful instruction provided through Judges Connecting with Classrooms meets that challenge. Both teachers and judges should benefit from the information, plans, and materials provided, which will allow judges to enter classrooms armed with information and teaching aids. The Arizona Mock Trial program, teaches students in grades 9-12 about the law and the legal system by participating in a simulated trial. The program is an opportunity for students to learn about the law and the legal system from practicing attorneys; for teachers to work closely with attorneys to reinforce legal concepts in the classroom; and for attorneys to share their expertise about the law and their legal skills. The Mock Trial program is funded in part by the Young Lawyers of Arizona. This instructional program is designed to enhance students’ understanding public policy and citizenship. The Foundation provides teacher training and support, and hosts a statewide showcase. 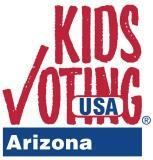 Project Citizen is supported by funding from the Arizona Supreme Court and the Center for Civic Education. This instructional program enhances students understanding of the institutions of American constitutional democracy. At the same time, students discover the contemporary relevance of the Constitution and Bill of Rights. The Foundation provides teacher training and support, and hosts the competition. The We the People Program is supported by funding from the Arizona Supreme Court and the Center for Civic Education. Wills for Heroes (WFH) provides essential legal documents free of charge to our nation’s first responders, including wills, living wills, and powers of attorney. By helping first responders plan now, they ensure their family’s legal affairs are in order before a tragedy hits.